My station location on the trail near the Sandburg farm is indicated with the small grey marker (lower left quadrant). I’ve enjoyed an especially “radio-active” Labor Day weekend. Here’s hoping you did, too. On Saturday I headed out the door at 4:15 AM to meet my buddy Vlado (N3CZ), the inimitable radio doctor; we aimed our headlights through the morning mist to the Shelby Hamfest. Though it took quite a bit more coffee to keep me going, the hamfest was a load of fun. Check out the photos I posted yesterday. On Sunday, I enjoyed some family time. Conveniently, our weekend travel took us near the Carl Sandburg Home in East Flat Rock, NC. I managed to carve out a little time for a quick–very quick– NPOTA activation of the site. I realized I would only have about an hour, though, to find a suitable site, setup my radio kit, make at least the minimum of ten contacts, then pack up and clear out. Not an optimal amount of time, but certainly a fun challenge. All of this, save the fishing line and weight, was protected by the compact and perfectly portable LowePro ViewPoint CS 60 padded case, and fit it like a glove. Those of you who know me, know that I’m a bit of a pack junkie. So I’m kind of picky about what I choose to hold my gear. There are a few manufacturers whose packs pass the test, and that make gear here in the States, like Spec-Ops Brand, Red Oxx, and Tom Bihn. Their packs are sometimes pricey, but they’re nearly bullet-proof and guaranteed for life. 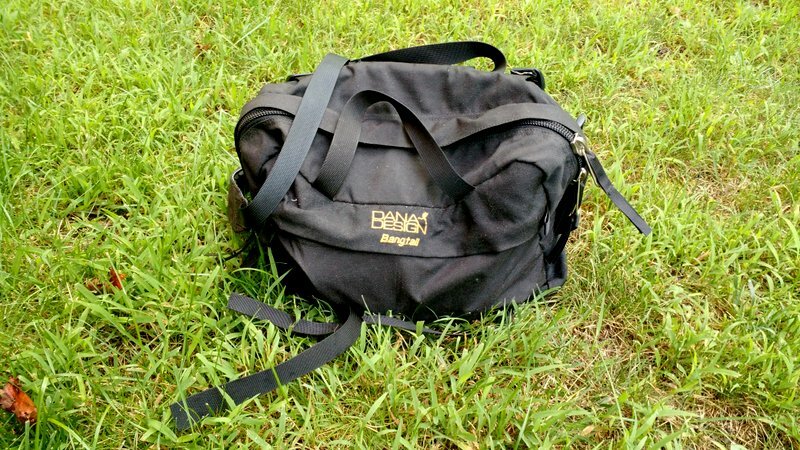 Timbuk2, based in San Francisco, is a more economical company with good gear, as well. After purchasing my KX2, I searched but couldn’t find a suitable pack from my prefered manufacturers. 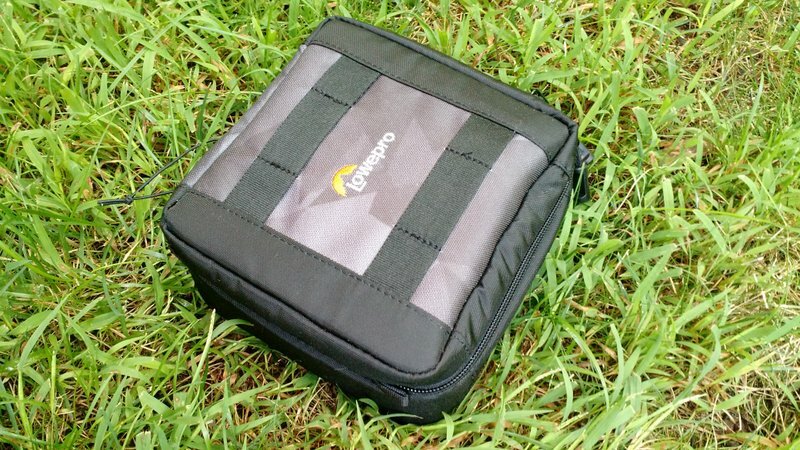 I had remembered that at the Dayton Hamvention, Elecraft was actually selling two models of a LowePro pack that fit the KX2 exactly: the ViewPoint CS 40 and CS 60. While I like to go as compact as possible, the CS 40 is just a bit too small to hold everything I like to carry to the field (antenna, paddle, and mic). The CS 60, on the other hand, could hold everything and has a fold out panel organizer to hold connectors. I knew the CS 60 would fit the KX2, and I knew the CS 60 was padded to protect its contents. I also could see that the pack has excellent (and apparently genuine) ratings on Amazon, so I ordered one. I’m pleased to report that the CS 60 is very well built indeed, and what’s more, accommodates everything I need. In fact, the only thing the CS 60 won’t hold is my reel of fishing line and 6′ coax cable (and yes, I daresay you could adapt both items to make them fit with a little effort). There was room to spare inside for water bottle and snacks, and the whole package was very lightweight. The Carl Sandburg site was fairly teeming with visitors, also enjoying the warm weather of the Labor Day weekend. After arriving and (fortunately) finding a parking spot, I hiked 20 minutes to one of the trails, where I was given permission to hang an antenna and operate. Knowing that I needed to rejoin my family soon, I wasn’t too choosy about my site this time. I just needed to get on the air and work the minimum of ten contacts. In truth, I wasn’t sure if all of this was possible in the one hour I had available. I setup on the right side of this sunlit trail, near one of the park benches. It turned out to be a pretty good spot. It took me perhaps ten minutes to set up, with a few brief asides to explain what I was doing to passing hikers. Since I configured my little Elecraft KX2 with an internal battery and antenna tuner, I had no need for extra power cables, connectors, ATU and coax. Yep, my entire station easily fit on the clipboard I was using to hold my log sheets. On my lap, the clipboard became my operating table. As soon as I sat down in my folding chair, I turned on the KX2, set the frequency to 14,286 kHz, and pressed the ATU button which gave me a 1:1 match (since the EFT is resonant). Then I started calling CQ by simply pressing the MSG button and selecting my message stored in memory allocation 1 by pressing and holding the PRE (1) button. It’s a brilliant and easy function which saves my voice! By automatically calling CQ, it gives me an opportunity to answer questions from curious passersby, naturally fascinated by a guy sitting on the side of a trail, talking into a little box connected to a tree-branch suspended wire. In the end, I didn’t even need to use the voice keyer that much. I was spotted on the DX cluster and within moments had a small pile-up of stations. Remarkably, I worked my minimum of ten stations within six minutes! Of course, I continued to call CQ until I worked everyone in the pile-up (including stations from California, Nebraska, Kansas, Texas and Mexico). 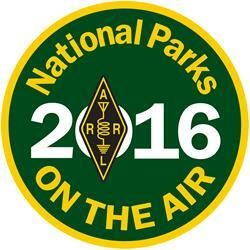 Though I was running out of time quickly, I did switch to the less-active 40 meter band and called CQ. In a period of a few minutes, I worked two stations on forty: one from Alabama and one from Florida. Not bad for 10 watts of power! Normally I would have stayed on the air for at least an hour to give chasers an opportunity to work my station, but I was pleased that I’d managed to fit this activation into a very busy schedule. I was glad to have racked up so many stations, so quickly! Taking down the antenna and packing up my portable station took all of eight minutes. the CS 60 pack organizes the radio and accessories so handily. 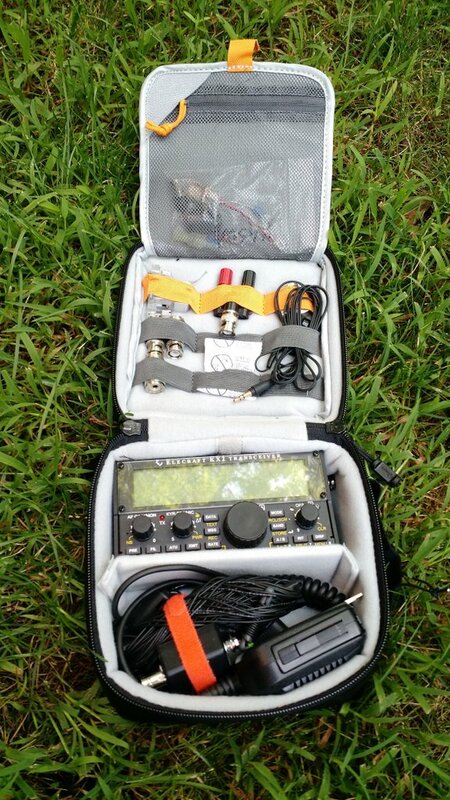 In short: I’m totally pumped by my new QRP field kit! More radio adventures await…To the field! 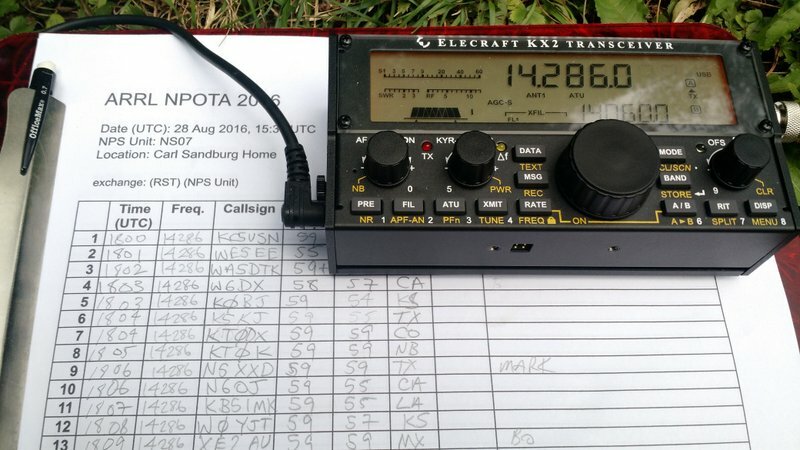 This entry was posted in Ham Radio, News, Reviews and tagged Carl Sandburg Home, EFT Trail-Friendly Antenna, Elecraft, Elecraft KX2, KX2, LowePro Viewpoint CS60, National Parks On The Air, NPOTA, QRP on September 5, 2016 by Thomas. I called in advance and spoke with their park ranger. The site is listed as “sensitive” for NPOTA activations. This is because it’s also an active archeological site. I operate in the areas that are not as sensitive on the grounds. I get down into the weeds on detail because the devil is in the details and will get you every time. I can recall when I was in high school and we were doing site selection for Field day. We were going to use the ball field behind the high school because it had a nice chain-link fence for a ground but we needed the school committees approval which was approved after field day but the Conservation commission gave us overnight approval. It is a wonder how things work under the same municipal government. Great post. Thanks for taking the time to tell the story! Fantastic! Excellent write-up Thomas. You keep showing us other bloggers the way a blog ought to be presented. I’m taking notes! Coming from you, John? That is a massive compliment. Thank you. You’re an incredible blogger in your own right! I’m so glad you’re back in the saddle again.